MA: John F. Kennedy University. Master of Arts in Consciousness and Transformative Studies (formerly titled Interdisciplinary Consciousness Studies). Pleasant Hill, CA. BS: San Diego State University. Business Management. San Diego, CA. Graduate: California Institute of the Healing Arts & Sciences. Sacramento, CA. Certified Hypnotherapist: CHT #394-285, American Council of Hypnotist Examiners. Co-founder: Alternative Solutions Hypnotherapy Services, Sacramento, CA (1994-1996). 24-years professional experience in holistic health and healing, and in most all aspects of personal, professional, and spiritual development. Mark Bancroft, MA, CHT, provides holistic health and healing services you can use to experience positive change, healing, and transformation within yourself and your life. An uplifting and empowering approach is taken that allows you to work with your whole self to enhance and strengthen the health and well-being of your body, mind, and spirit. The holistic approach Mark uses deepens the healing process, allowing lasting results to be experienced in a fraction of the time required by more conventional methods that utilize only a limited amount of the innate healing potential. Mark is highly trained and skilled at helping and guiding people move through difficult setbacks and challenges. He is there to provide you the space and presence to put you in touch with the whole-self potential you have to powerfully heal and transform yourself and your life. Mark offers a comfortable, non-threatening, and non-judgemental environment for you to come to know and experience greater ease, balance, and well-being within yourself and your life. Through conducting over 10,000 private and group sessions, Mark has helped hundreds of people experience positive change, healing, and transformation in their life. The service and support Mark provides draws from years of study and experiential application of holism, consciousness studies, altered states of consciousness, holistic health principles, systems theory, depth psychology, parapsychology, quantum physics, mind–body healing, philosophy, and East/West spiritual practices. 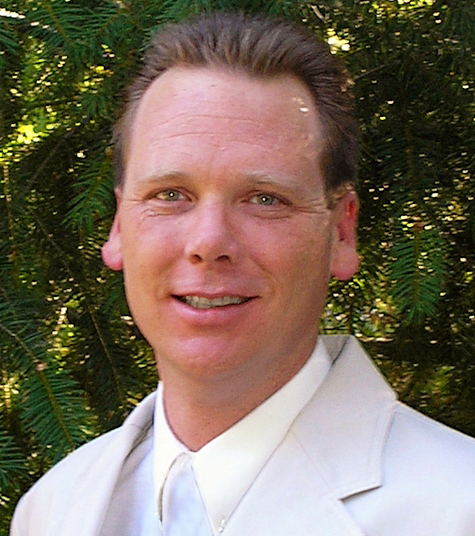 Mark is also the author and publisher of 40 Holistic Hypnotherapy CD programs. 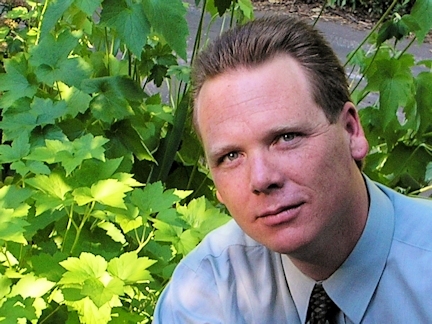 Through rigorous academic training, deep personal inquiry, and experiential work as a holistic practitioner, Mark offers a professional, insightful, and results-oriented approach to his clients. Awareness, healing, transformation, goal realization, and the healthy resolution of life issues and problems are some of the key objectives of his work. I find it deeply rewarding to be in a position to truly support individuals in living healthier, happier lives. Each of us has tremendous potential to heal, positively change, and transform ourselves and our lives. Each of us is uniquely special and brings one-of-a-kind gifts into this world. And, through life's challenges and difficulties, it is easy to lose touch with whom and what we essentially are. When that connection is lost, we fall into imbalance and lose ourselves in thought and the world of form. The dream (waking world/Maya) becomes real and starts living the dreamer; soul falls into darkness. In my work, I serve as a guide to others, appreciating and giving respect to each person's individuality and the life path they are on. By seeing others for whom they essentially are, I am able to recognize and work with an individual's potential for healing, change, and transformation...even when the individual is not able to see it or has lost touch with it themselves. One of the most enjoyable aspects of my work is the sheer amount of diversity it offers. I see people from all walks of life, all backgrounds, nearly all ages, and for all kinds of reasons. I see people who have tried everything and turn to me as their last hope at ending their pain and suffering. I see people who just need a little support and guidance on a specific problem or a minor issue they find annoying, such as nail biting or the fear of flying. I get to work with teens and children who are having difficulty at the very start of life, and I help people go through retirement, their twilight years, all the way through to the closure of life by helping individuals through the process of death and dying. I've been able to guide others to come to terms with and put an end to a life-long addiction that has caused nothing but suffering to themselves and the lives of others. I see many people interested in losing weight, and find it truly rewarding to be of help to those that are needlessly living in guilt and shame over their appearance. My experience in helping people with cancer has special significance, for much of what I have to offer can be directly applied to help alleviate the physical, emotional, and mental pain and suffering caused by cancer. I should point out that this diversity is part of what makes what I offer stand out from more conventional practices. It provides a deeply rich and broad perspective into human nature, and it reminds me each day just how special each indivdiual's life is, regardless of age or circumstance. When I first set out on my life's work in 1990, I did so by committing myself to an intention that caused me to place the highest standards and utmost integrity on my duty and responsibility to the healing and empowerment of others. There were much easier paths I could have followed, and I am glad I didn't. I have come to find that while working as an alternative/complementary practitioner in the "real world" has its challenges, the reward of bringing something uniquely special and of original value to another person's healing and self-change process makes it all worthwhile. I have explored and experienced many alternative healing methods and techniques over the years. The services I offer have passed the test and have proven reliable and highly effective at what they are intended to do—heal and transform the mind, body, and emotions to support health, healing, and positive change. Some of the services that fall into this category are non-conventional and not readily accepted by mainstream opinion. This does not mean they do not hold value; they just aren't well understood at the present time under present conditions. And that's all right, for my commitment is to the health, healing, and empowerment of those whom I serve. If you're interested in health, healing, and positive change, call or e-mail me to schedule a free consultation. I look forward to hearing from you and sharing the many benefits that the world of holistic health and healing has to offer you. Body♦Light transforms the weight loss experience, taking weight loss from struggle to a source of self-empowerment. This program gives you the experience of physical, emotional, and mental lightness. If you would like to lose weight and are tired of feeling heavy and disappointed, Body♦Light is for you! More information on this program is available on the Body♦Light website page on this site. Mark is a gifted life coach and hypnotherapist. I was very skeptical and a little reluctant about being regressed by Mark because I had tried hypnotherapy before with limited results. I was amazed by the results that I had with Mark. Mark also performed a future progression on me that enabled me to see just how limiting my views of myself were and how unlimited and amazing my future could be if I allowed it to unfold, and got out of my own way. I would recommend Mark's services to anyone who is trying to heal and create a new story and a new life for themselves. * Note: Specific results are not guaranteed as results may vary from person to person. Mark is one of the most dedicated and caring people I have ever had the pleasure of meeting... I would recommend him to anyone seeking to improve, heal, and evolve themselves. He is extraordinarily intuitive and knowledgeable. "First we form habits then they form us. Conquer your bad habits, or they’ll eventually conquer you.” I've made it 40 days and 40 nights... and today I stop counting... I am officially a non-smoker! No Sweat! I still can't believe it! I couldn't be happier or more proud of this unbelievably astounding accomplishment!!! Thank you God! Thank you Mark, you changed my life! And Thank you ME! I DID IT!